Wireless Bluetooth Receiver with Apple 30-pin Connector. 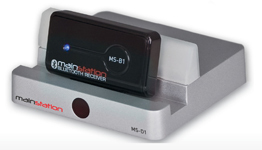 Connects directly to iPod, iPhone & iPad Docks - see the MS-D1 docking station. Converts most iPod, iPhone, and iPad charging docks or Apple® composite A/V charging cables into wireless Bluetooth Receivers. A/V charging cables into wireless Bluetooth Receivers. 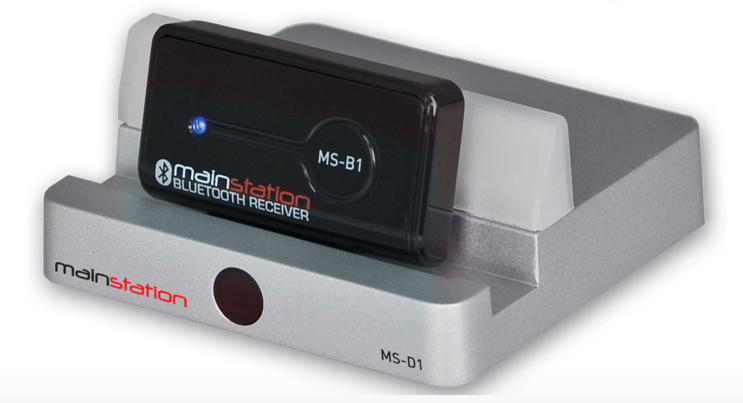 Enables wireless playback of music from your Bluetooth-capable device. Supports Bluetooth 2.1+EDR and Bluetooth 2.0, 1.2, and 1.1 backward compatibility. Supports Bluetooth Advanced Audio Distribution Profile (A2DP), AVRCP. Compatible with most docking stations and speaker docks. Docks must utilize the Apple® analog audio stream.